Iraqi forces have clashed with a group of Islamic State jihadists defending the former government complex in the heart of the city of Ramadi. After a major push on Tuesday that broke IS defences around the city centre, government forces have been slowed by snipers, booby traps, roadside bombs and suicide attackers. 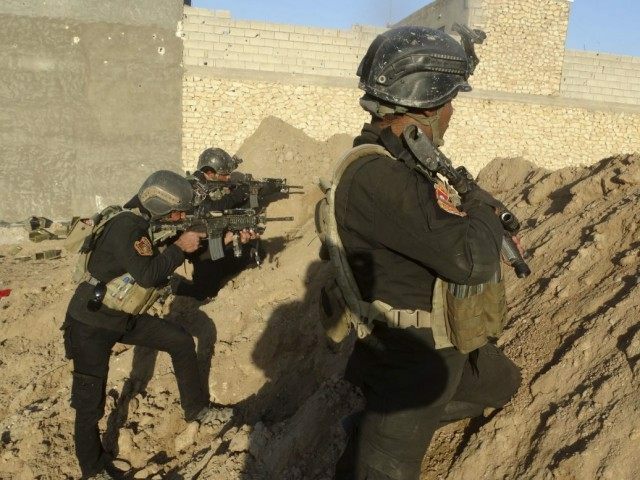 While initial hopes of a quick victory have faded, Iraq’s elite counter-terrorism service (CTS) and the army have advanced steadily through the devastated capital of Anbar province. Read the rest of the story at the Daily Mail.